To bring you thoughtful commentary from a variety of sources, Immersed is hereby launching a guest blogging program for the 2015–2016 academic year. You can expect to read and enjoy posts from members within The New Century School community as well as from professionals from the greater Baltimore community and beyond who have words of wisdom to share in areas related to education and parenting. For our very first guest blog post, however, what could be a better way to start this new initiative off on the right foot than with a message from TNCS Head of School Alicia Danyali? By the way, it’s also the first post of the 2015–2016 academic year! Starting the school year off right can be made easier by establishing and sticking to routines. Beginning-of-the-school-year traditions are something many families cherish. Whether it’s the obligatory first day of school picture, to picking out a special backpack or lunchbox, parents like to show that going back to school is an important occasion to be honored. However, making that transition out of summer back into school can be a challenging adjustment. The start of the school year initiates more regimented routines, whereas, for many, the summer schedule was often more relaxed and easy-going. Starting the school year is an important event and support and modeling a consistent positive attitude goes a long way. Learning to like school and liking to learn are closely related. Keep routines consistent, including some after-school down time, family time, and a reasonable bedtime. Being on time to school offers an abundance of security for an anxious or shy child. Listen to stories about your children’s day without interruption or judgement. Letting them talk about their experience will encourage further sharing and smooth adjustments to a new or existing group, as well as open them up to trying new things. If you show enthusiasm about school, your child probably will, too. Volunteer in the classroom or school when time permits. Seeing the classroom in action will help you gain a better perspective on how your child spends the day and will additionally reassure your child that you are involved in his or her day-to-day life. Allow and encourage your child to be involved in the daily routines of getting ready for school. Preschool-aged children can help choose their lunch options, for example. Older kids can create a checklist (e.g., make the bed, pack lunch, get the backpack ready, etc.) that supports independence and nurtures accountability. Read to your children and/or have them read to you daily for at least 15 minutes. Encourage the importance of their daily multilingual experiences by reading in more than one language, if possible. Stay abreast of school policies from the parent handbook. Confusion and frustration can result from lack of awareness of school policy, which feelings children readily internalize, possible creating anxiety. Be part of the community and get to know your children’s friends and families by attending school events, such as the quarterly Pot Luck. And please be thankful, supportive, and grateful for the hard work your child’s teachers and support staff do everyday! In addition, please check out the websites below for some additional resources. Become an Immersed Guest Blogger! Have an idea for a guest blog post? Please don’t hesitate to send your inquiry via private message to the TNCS Facebook page (and please remember to like the page if you haven’t already done so) or by emailing thenewcenturyschool@gmail.com. We would love to hear from you! This entry was posted in Early Childhood Education, Elementary Education, Montessori education, Multilingual Education, Parenting, Progressive Education and tagged Alicia Danyali, back to school routines, back to school transitions, guest blogging, The New Century School, TNCS. Bookmark the permalink. 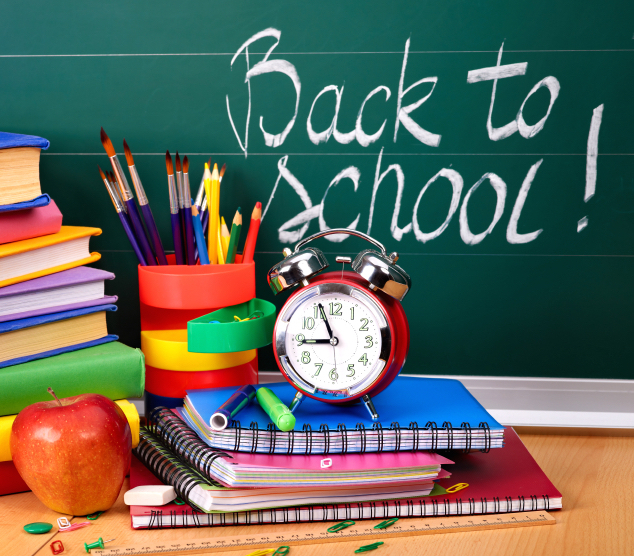 ← Back-to-School Traditions from around the World!